We welcome you to our apartments and lofts. Our apartments have the capacity to accommodate up to 6 persons. Our Loft’s have a Jacuzzi, private Gallery balcony with a panoramic view to our Polo field or our village church. 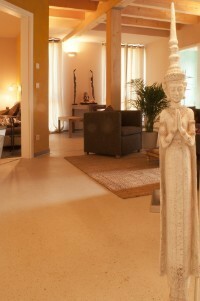 These lofts can accommodate up to 2 persons. Up to 4 Adults 180,00 Euros per night. Lofts are 160 Euros per night, inclusive breakfast service to the Suite. If you feel like getting up, join us for a Country breakfast at the Club lounge. We have horseboxes that are 13,5 to 15 m2 big. All are spacious and airy, not like the old fashion. Five of our boxes have an additional outside private paddock. For our Boxes we use Hippodung(TM), a new ecological bedding. Our facilities have a riding arena with a perimeter of 30 times 50 meters, a walker for up to 6 horses, a round pen of a diameter of 19 meters, a race course training track that is 1000 meters long, a polo field with all equipment necessary to play the game, in addition we have paddocks that are available for your horse to graze. (for up to 15 Adults) 35,- Euros/person inclusive welcome drink. On the open fire we will grill a complete Lamb or Roast Beef / Rip eye. This will be served with fresh bread, salads and everything you can imagine a romantic Latin-American BBQ flair should be. 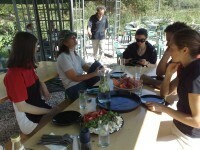 will be cooked on an open charcoal fire; ( for up to 5 Adults) 25,- Euros/person inclusive sangria. (for up to 25 Adults) 35,- Euros / Adults inclusive Finger food, prim’s cocktails and Polo match. (up to 10 Adults) 3 course menu up 25,- Euros per Adult. A Buffet of steaming dishes and baroque platters will be available for everyone. There are choices of meat, seafood, or vegetarian. You can eat your heart out! Our rural cultural table manners will impress you; all stay seated, there is no long waiting line at the buffet and the conversation will stay uninterrupted in a relax atmosphere. 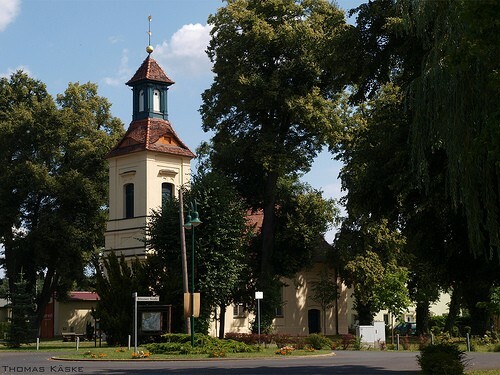 You can organize your country wedding with us in corporation with the Protestant Village Church. For more information please contact: Juergen Pullman from the Estate at 0179 1089073. Or do not hesitate to send us an email.